Cute little winged "bugs" to stitch for Spring & Summer wear. Some say these look like Fireflys or Dragonflys. 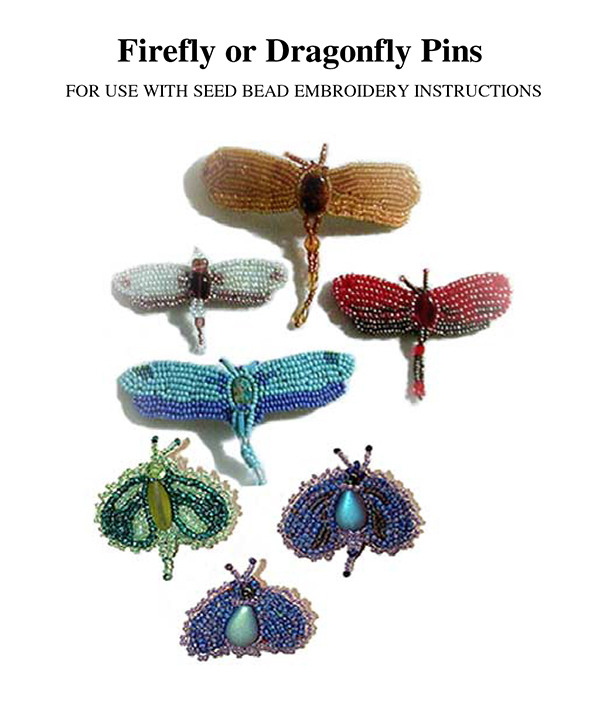 They are a great way to use up very small quantities of seed beads.